Many members of the cast of “Saturday Night Live” go on to act in wildly successful movies. They even host their own television shows. In this respect, Kate McKinnon is no different. Her spot on SNL has led to her landing a role in the 2016 reboot of Ghostbusters. And now alongside Mila Kunis she’s landed another role in The Spy Who Dumped Me. So, what has all this success earned her in terms of wealth? What is Kate McKinnon’s net worth? McKinnon was born and raised in Sea Cliff, New York (a small town on Long Island). She was always interested in entertaining others. As a child, she played several instruments, including the piano and cello. After graduating high school, McKinnon pursued a degree in theatre at Columbia University. During her time at the university, she founded a comedy group. Her group, Tea Party, focused on musical improv comedy. She also starred in three Varsity shows while in school. She was also a member of Prangstgrüp, a comedy group that focused on elaborate pranks. McKinnon graduated in 2006 with a degree in theatre. In 2007, she landed a role on Logo’s The Big Gay Sketch Show. She was a member of the show all three seasons it aired. Between 2007 and 2012, McKinnon continued to perform live sketch comedy at the Upright Citizens Brigade Theatre in New York City. She has also found work as a voiceover actor for television series like Ugly Americans and The Venture Bros. She won a Logo NewNowNext Award for Best Rising Comic in 2009 and was nominated for an ECNY Emerging Comic Award in 2010. Her career was already on an upswing when she landed her spot on Saturday Night Live, where she has flourished since. She debuted as a featured player on April 7, 2012, and was given a permanent spot on the show in 2013. McKinnon is the show’s first openly lesbian cast member. Her current girlfriend, Jackie Abbott, is an actress as well. McKinnon’s various characters on the show have led to nominations for the following awards: Emmy for Best Supporting Actress, Comedy; Emmy Award for Outstanding Supporting Actress in a Comedy Series (twice); and Outstanding Original Music and Lyrics. And she won the 2014 American Comedy Award for Best Supporting Actress as well as 2015 Emmy for Outstanding Supporting Actress in a Comedy Series. The roles she plays on SNL opened doors for McKinnon. She co-created and co-stars in the web series Notary Publix with her sister Emily Lynne. McKinnon also has a number of SNL cast members as guests on the show. The comedian/actress has also gone on to act in large motion pictures, such as the 2016 reboot of Ghostbusters, and now, The Spy Who Dumped Me. How has all this success impacted the star’s overall wealth? Sources estimate Kate McKinnon’s net worth to sit somewhere between $2 million and $6 million. With her career really only just taking off, that is a substantial amount of wealth. The primary source of McKinnon’s net worth has been her acting career, namely Saturday Night Live. SNL cast members get paid up to $24,000 per episode, based on seniority. McKinnon has the record for the longest-standing female cast member so far. So, it is safe to say she’s getting paid well. On top of her various roles on the late-night comedy show, McKinnon has also hosted her own standup comedy shows for which she gets paid. As mentioned above, she has also earned money as a voiceover actor, appearing on popular shows like Family Guy. Outside of acting and voiceover, McKinnon has also done some light endorsements. She appeared in commercials for the Ford Focus in 2015, which earned her tens of thousands of dollars. With her acting career continuing to pick up, she will likely land more endorsements in the future. There isn’t much information about her assets or property. However, it is safe to say she probably lives in or around New York City, as many of the SNL cast members do. The average price of an apartment in NYC is $2 million. With that in mind, if she owns any property, that may contribute greatly to her overall net worth. Kate McKinnon’s career is off to a sprinting start. All in all, her appearance in The Spy Who Dumped Me will have a large impact on the star’s overall wealth. It is likely to lead to new, exciting roles for the actress in the future. Readers, what do you think about Kate McKinnon’s net worth? Is it surprising? Actors and actresses like Vanessa Kirby have gotten a claim to fame by starring in a Netflix original television series. Oftentimes, landing a Netflix Original leads to other roles in larger projects. For Kirby, it has turned into a role in the newest Mission Impossible film. How did she secure such a “big break?” And what is Vanessa Kirby’s net worth? Born on April 18, 1987, in Wimbledon, London, Kirby had a pretty normal life. She went to grade school in Hampton and afterwards, applied for Bristol Old Vic Theatre School when she graduated. After being turned down, she took a year off from school and traveled. Afterwards, she begin pursuing a degree in English from the University of Exeter. Eventually, she was accepted to the London Academy of Music and Dramatic Art but turned down her place in the class. This was because Kirby had already been signed by a talent agency. The agency helped her land three starring roles at the Octagon Theater Bolton almost immediately. For her performance in one play, All My Sons, she won the BIZA Rising Star award, worth £5,000 (about $5,800). After performing at the Octagon, she went on to star in plays at the National Theater. Many of her performances there earned her award nominations and a multitude of praise. Kirby made her television debut in 2011 on BBC’s The Hour, which really catapulted her career. After landing The Hour she moved on to take part in other TV series and eventually moved to film. She’s acted alongside huge stars, like Sir Anthony Hopkins, Shia LaBeouf, Mila Kunis, Channing Tatum, and Sir Ian McKellen, among others. In May 2015, it was announced Kirby would play the part of Princess Margaret in The Crown. The role fit her like a glove. Her performance in season one led her to a BAFTA nomination in 2017. However, season two’s performance brought home a win. With such a well-versed background in acting, there is no wonder Kirby’s career is taking off. But, how well is she taking care of her finances? Vanessa Kirby’s net worth sits around $4 million. Most of her net worth stems directly from her earnings as an actress. There aren’t many assets known to the public. She travels for work often and does not own a home, although she spends most of her time in London. There are no products or companies associated with Kirby’s name, jowever, the only thing she spends time endorsing, it seems, is the shows, plays, and films she is in. The more high-profile roles she lands, this may change. For her performance in The Crown, it is not known exactly how much Kirby made per episode. However, fellow actress Claire Foy made $40,000 per episode. Her earnings were likely less than Foy, who played a major role in the series, but it is assumed that she made five figures per episode. Kirby acted in 17 of the 20 episodes in the series. Now, she is starring in Mission Impossible – Fallout alongside Tom Cruise. Although it isn’t yet certain if her role in the film will earn her any awards, MI films are extremely popular. Moreover, Kirby’s net worth stands to grow, depending on the numbers at the Box Office. All in all, Vanessa Kirby has had a successful acting career on stage as well as on the big and small screens. She is versatile and will likely continue earning money, and growing her wealth, for many years to come. How can you increase your net worth? Join us in the Saving Advice forums for discussion on wealth, paying off debt, saving money, and other great finance topics. 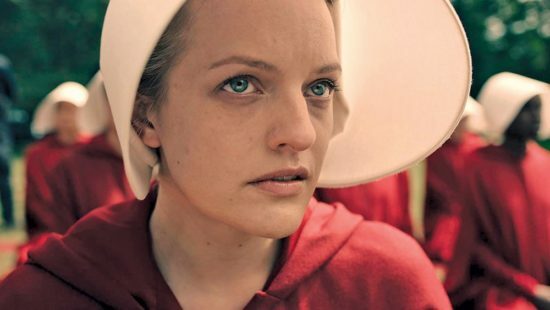 Margaret Atwood’s most famous novel, The Handmaid’s Tale, has captivated the public and enjoyed new life in the form of a Hulu series that is premiering its second season on April 25. But what is Margaret Atwood’s net worth? Margaret Atwood’s net worth has been estimated at $20 million. One might expect that the high profile of The Handmaid’s Tale made her rich, but the story, and Atwood’s relationship to money, is complicated. Margaret Atwood was born on November 18, 1939. In a marvelous and detailed interview with Wealth Simple, Atwood notes that she was the child of Depression-era parents, and that although they often scraped for money, they carefully avoided debt, and never fell into serious financial hardship. Such a family life, coupled with her bottomless appetite for literature (including comic books), equipped her well for the life of a young writer. Taking on a number of odd jobs while working on her first poetic and literary work, she rejected a life of simple domesticity and began graduate studies at Harvard. Atwood became a full-time writer in the mid-70s, citing 1975 as the year she stopped having to worry about money. Her first novels established her as a leading voice in Canadian literature and culture, and set forth themes that would recur throughout her work: identity, sexual politics, and the social construction of gender. Atwood’s most famous novel was released in 1985: The Handmaid’s Tale chronicled the plight of a woman subjugated into slave status inside a neo-Christian totalitarian state. The novel became a bestseller and piled up awards. It was the first recipient of the Arthur C. Clarke award (for science fiction published in the U.K.), and was shortlisted for the prestigious Booker Prize (which meant a modest $2,500 cash award on top of the recognition). Higher remuneration came from the novel’s win of the Governor General’s Award for English language fiction (a $25,000 cash prize). The Handmaid’s Tale was first adapted into a handsome but little-seen movie in 1990 (total box office: $5 million). It maintained a hold on the imagination of many adapters, and came to life in radio, theatrical, and even dance adaptations in the following decades. A new audience became familiar with the work thanks to Hulu’s highly-successful and widely-seen television adaptation starring Elisabeth Moss. The series captured the zeitgeist of the current times, with a large audience responding favorably (even passionately) to its feminist themes and call to revolution. Atwood has remained a highly successful novelist, however. Among her biggest successes was The Blind Assassin, which was awarded the Booker Prize in 2000 (and accompanying cash award of nearly $30,000 – two years later, the Booker prize upped the amount to just over $70,000), and also named one of Time’s 100 greatest English language novels since 1923. In 2004, Atwood noted the use of signature-capturing technology used by companies like FedEx and mused how much easier it would make book tours. She founded the company Unotchit Inc. to create the LongPen, patented technology that would allow a user to apply an ink signature via a tablet and the internet. This technology became wildly successful (and highly profitable), especially once the company began applying it to legal, finance, health care, and government fields. Atwood holds several patents on technology spun from LongPen, and remains a director of the company, now known as Syngrafii, Inc. The company is privately held, with business partners including Cisco Systems, Syntek, and Viju. Despite her huge success in multiple fields, Atwood maintains a grounded, non-extravagant relationship to money. She has been careful to avoid debt all of her life. Indeed, she gathered her thoughts on debt and its relationship to human behavior and social justice into Payback: Debt and the Shadow Side of Wealth, published in 2008. Just as her fiction at its most wildly speculative remains rooted in devastating events happening in our present, so does Atwood carefully and directly apply her money toward what she and the world need most at the present moment. Does Atwood’s investment strategy make sense to you? Do you agree that money is best applied so directly? And how fired up are you for season 2 of The Handmaid’s Tale? Sound off in the comments below! 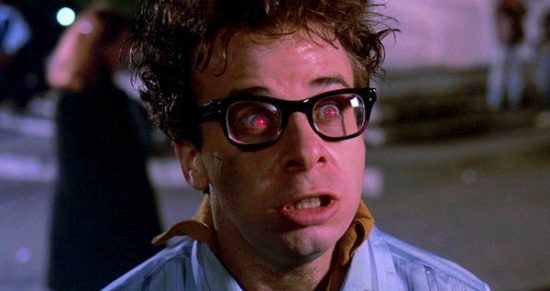 Though not attaining legendary status, Rick Moranis appeared in nearly every funny movie made in the 1980s into the 90s. But then he seemed to retire from the entertainment industry. That makes it interesting examine what is Rick Moranis’ net worth. Rick Moranis’ net worth has been listed as $10 million. He has starred in 20 movies that collectively grossed $1.8 billion at box offices worldwide, according to The Numbers. He has also worked as a director and musician. Rick Moranis was born in Toronto, Ontario in 1953. He attended elementary school with another famous Canadian, Geddy Lee (the bassist and vocalist from the rock band Rush). Moranis began his entertainment career as a DJ on Canadian radio. Moranis’ knack for comedic writing landed him a slot as a writer-performer on Canada’s famed comedy show SCTV. When SCTV began its syndication into the U.S., the network requested more specifically Canadian content from the show’s writers. Somewhat baffled by this mandate, Moranis and cohort Dave Thomas created Bob and Doug McKenzie to channel every Canadian stereotype they could imagine. The beer-drinking, none-too-bright McKenzie brothers, to everyone’s surprise, quickly became SCTV’s most popular characters, and spun into life outside the program. The Great White North, the first record album featuring the characters, sold 1 million copies. “Take Off,” a comedy rock song on the album featuring Geddy Lee, reached #16 on the Billboard 100 singles chart (oddly, a higher placement than Lee would ever achieve with Rush). 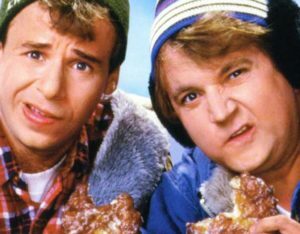 Bob and Doug made their inevitable Hollywood debut in 1983 with Strange Brew, a comedy co-written by Moranis and Thomas that grossed over $8 million. The movie was too overtly surreal to be a blockbuster, but it remains a cult favorite. More importantly, it provided Moranis his first major Hollywood role. It would not be his last. Moranis appeared in supporting and lead roles in a number of major films through the 1980s and into the 90s. Many of his collaborators on these films embraced Moranis’ writing talents, and allowed him to rewrite much of his own dialogue. Moranis also played the lead in Honey, I Shrunk the Kids, which took in $222.7 million at the box office, setting a record as Disney’s most successful live-action film. 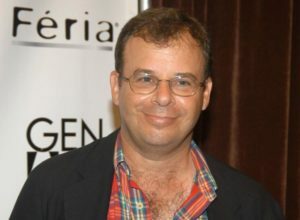 The death of his wife, costume designer Anne Belsky, in 1997 prompted Moranis to put his career on hold so that he could care for their two children. To his surprise (and to the consternation of his fans), Moranis found life easier and more enjoyable outside the grind of Hollywood, and has remained happily out of the spotlight ever since. But Moranis has not disappeared completely. Based in New York, he remains an active writer and voice-over actor, penning humorous pieces for the New York Times and working on projects in the U.S. and Canada. In fact, he played a Canadian bear in the 2003 animated Disney film Brother Bear, which took in $250.4 million at the box office worldwide. Moranis has also embarked on a music career. His offbeat country album The Agoraphobic Cowboy was released in 2005, and its irreverence and good humor helped it stand out, garnering a nomination for the 2006 Grammy for Best Comedy Album. Moranis’ second album, My Mother’s Brisket & Other Love Songs, dropped in 2013. And, proving that there’s no keeping a successful comedy act down, the McKenzie brothers continue to appear now and then. Moranis re-teamed with Dave Thomas for Bob & Doug McKenzie’s Two-Four Anniversary special in 2007, and served as a producer of the short-lived animated series Bob & Doug. He politely, but directly, turned down a chance to appear in the 2016 Ghostbusters reboot, which, considering its worldwide earnings of $229.1 million, would have been a very easy paycheck. But Moranis appears to have invested his 1980s blockbuster earnings wisely. He lives in a large Upper West Side apartment — valued at $1.74 million — surrounded by his art collection, and is busy enough as a writer and occasional performer. And though fans may have been disappointed not to see him in the last Ghostbusters movie, there’s something pleasant about the fact that he didn’t have to take the gig. What’s your favorite Rick Moranis quote? Willem Dafoe usually plays the craziest role in the movies he stars in, but this year his very serious character in The Florida Project got him nominated for the Oscar for Best Supporting Actor. This is by no means his first nomination nor his only role this year — but what is Willem Dafoe’s net worth? The Richest estimates Willem Dafoe’s net worth to be $24 million. Although he’s obviously famous, many of the parts he plays are actually considered to be supporting roles. Because of this, his income isn’t as high as other actors. His annual earnings are estimated at just $3 million. However, he did have a prominent role in Murder on the Orient Express, which received an ensemble nomination from the Screen Actors Guild. The film, which premiered in November 2017, grossed $102.8 million in the U.S. and more than $350 million worldwide. Many of his previous films have received a number of awards. One of his better-known roles, that of Sergeant Elias, was in a film that got nominated for 18 awards: the 1986 classic, Platoon, which grossed over $138.5 million in the U.S. alone. 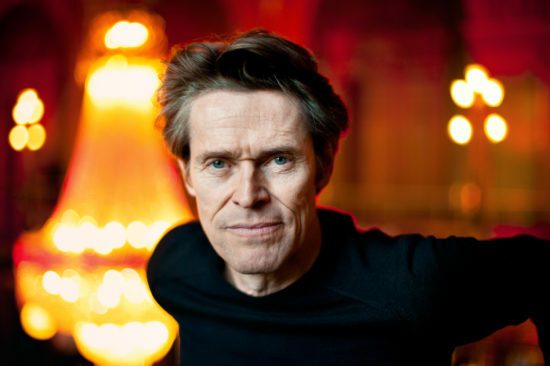 It is estimated that Dafoe has made nearly $8 million throughout his career through endorsement deals, including agreements with Mercedes Benz and Jim Beam. He also endorses the Wooster Group, a theater organization he founded with his former partner Elizabeth LeCompte. Founded in 1975, it’s a New York-based company of artists who tour nationally and internationally. He has been extremely involved in every piece of the group’s work. As for how much of Dafoe’s net worth is his primary dwelling, it’s a house in New York worth just $850,000; the place is 1,949 square feet with two bedrooms and two-and-a-half baths. This may seem modest for a movie star, but Dafoe spends half of his time in Italy with his wife, Giada Colagrande, so a home in the U.S. isn’t all that necessary. Outside of the assets he owns and the money he’s made through films and endorsements, Dafoe hasn’t diversified his earnings much. In between making movies, he spends his money on vacations and travel between Italy, New York, and Los Angeles. Do you think Willem Dafoe will win this year’s Oscar for Best Supporting Actor? Which other actors and actresses are you rooting for in this year’s awards? Former Uber CEO Travis Kalanick has been in the spotlight for a lot of negative reasons in recent months. However, he has made his first appearance in 2018 a positive one. What are the news outlets talking about? The fact that Travis Kalanick’s net worth is in the billions. Yes, billions. Even though he was asked to resign as CEO of Uber, he has been able to maintain his wealth. So, how much is the former CEO worth and how much of his stake in Uber account for his wealth? Travis Kalanick was born in August 1976 and grew up in California. He grew up with his mother, father, two half sisters, and a brother, living a relatively normal life. When it came time to head off to college, Kalanick decided to attend the University of California, Los Angeles (UCLA) to study computer engineering and business economics. During his time at UCLA, Kalanick launched his very first start-up called Scour. In 1998, he left UCLA to attend his business full-time. He never returned to college to finish his studies. Instead, he hit the ground running in the world of business. His first venture, Scour, was a project Kalanick co-founded with Dan Rodrigues, a friend of his from college. The peer-to-peer file sharing company was short-lived, however. In 2000, a copyright infringement lawsuit was brought to the company and the business partners were forced to file bankruptcy to avoid the lawsuit. That didn’t stop him from continuing to make attempts at a successful business. In 2001, he and his colleague Michael Todd launched Red Swoosh, another peer-to-peer file sharing company. During this time, Kalanick struggled to make ends meet and moved back in with his parents. It paid off though. In 2007, Akamai Technologies bought Red Swoosh for $19 million, earning Kalanick a pretty penny. Two years later, Kalanick was joining one of his largest projects yet. It was then that he joined fellow entrepreneur Garrett Camp in launched Uber. Uber was the first company of its kind, a mobile app that allows people to connect with drivers for hire in a moments time. The prototype for Uber was built by Camp and Kalanick was an advisor. By the end of 2010, Kalanick replaced Ryan Graves as the CEO of the company. Now Uber is available in 66 countries and 507 cities around the world. However, it hasn’t grown to that size without its share of controversy, mainly around Kalanick’s actions. About one year ago, a dashcam video was released that revealed Kalanick yelling and using profanity with an Uber driver. The driver told Kalanick that the business’ model was bankrupting its drivers. This sent Kalanick into a rage that was all captured on tape. On Jun 13, 2017, Kalanick took an indefinite leave of absence from the company. The people who were reporting to him directly took over his day-to-day activities. Within a week, Kalanick was asked to resign from his position as CEO. 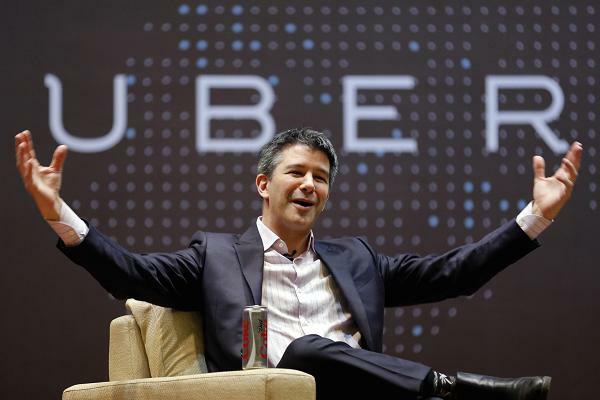 Although Kalanick resigned as the CEO of Uber, he still maintains a healthy 12% stake in the company. Given the recent report about Travis Kalanick’s net worth, it is definitely helping him continue to grow his wealth. Even though Kalanick is no stranger to controversy, he has been able to obtain a net worth of $7.1 billion. That is pretty impressive, no matter who you may be. So how did he accrue this massive amount of wealth? His 12% stake in Uber is the main contributor. The company is currently estimated to be worth $70 billion, of which Kalanick owns 12%. While his resignation was demanded by other executives, he will not lose any shares in the company. On top of his earnings from Uber, he has also earned money through his other business ventures, including the sale of Red Swoosh in 2007. His property and other investments also contribute to his net worth as well. And, even though he’s in a low place right now, it is also likely Kalanick’s career will recover and he will find a new role in the business world. If not, it doesn’t really matter, does it? He’s got a $7.1 billion fortune to live on. What do you think about the disgraced Uber CEO’s net worth?